Sypnosis: It turns out that civilisation still prospers in the sky islands, and is also just as oppressed as below. "One of my favourite maps, it's got a great unravelling structure on top of the completely new theme and setting which gives it a feeling of adventure despite being a somewhat domestic seeming town style, plus it has the mini-narrative of you peeling things back to discover the depths the Skaarj have infiltrated the place. While more of an exploration map the combat has some nice moments (although the basement ambush is incredibly simple for something with a dramatic music change), and it at least has a lot of ambient value with the critters in the less-travelled areas and things like the Krall playing dice games, and after the ease in from the last map this is the first level where you fight the Krall "properly", so it's got that going for it too. 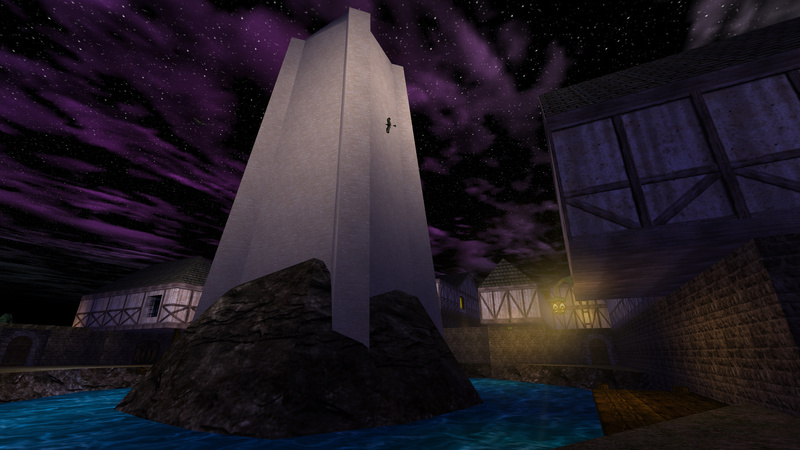 As an optional moment going around the precarious edges of the map for items is also a memorable section." I didn't comment on this last year, to my shame. 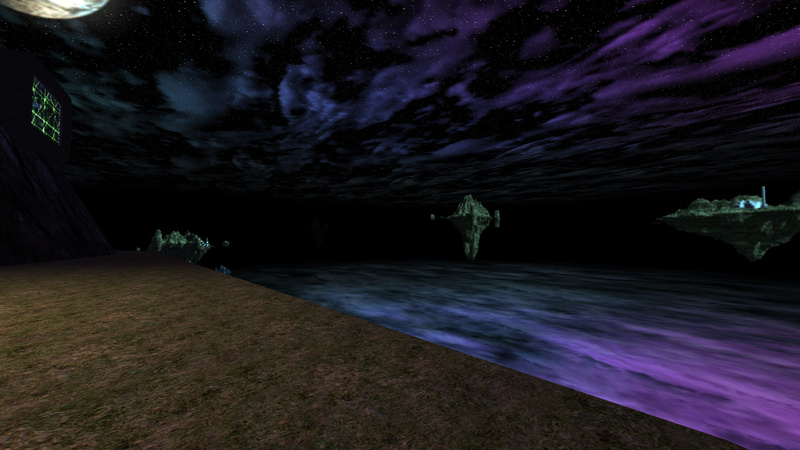 Looking at this level with today's eyes a newcomer to Unreal may find the level rather open and unpopulated. 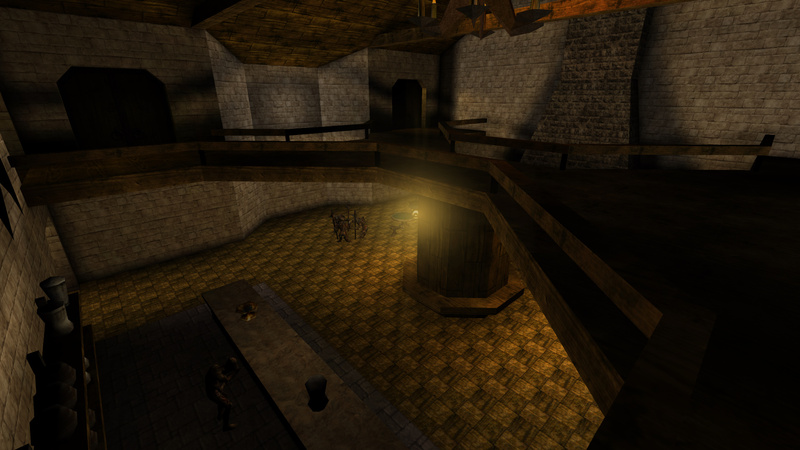 Thinking back to '98 when I first played Unreal I was still rather dazed by the three maps previous to this and reeling from the idea that I literally had no idea where this game was taking me. I mean this in a good way, of course. I was in the sky walking down the streets of a floating town besieged by aliens. Conceptually, this was a high point for my first playthrough. 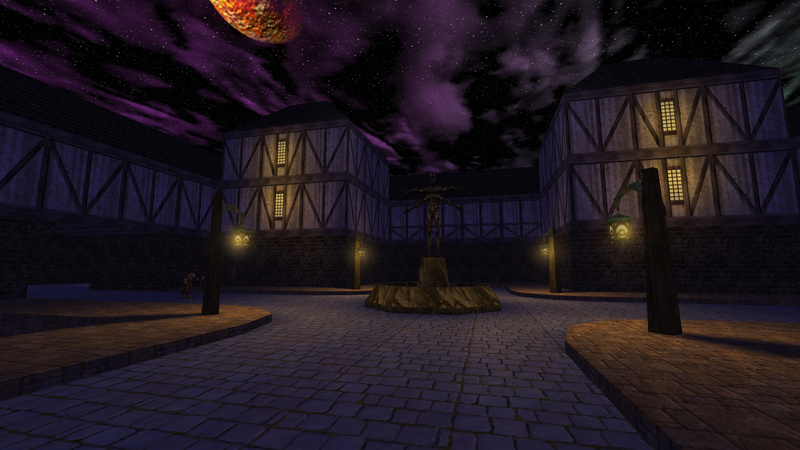 It's the atmosphere of this one that does it for me, especially the courtyard with the Nali statue. There's something very comforting about it. This map has like trillion technical/build flaws but it's one of those that clearly makes you wish you play the game again. It really should have been combined with Outpost 3J however, having the possibility to go back into the town with a complete change of theme that's full action and with Skaarj or Krall squads searching for you, with Isotoxin in the middel of the night.